Ms O’Brien’s ordeal began in 2011 when she was assaulted by a pupil at Bolton St Catherine’s Academy whilst assisting a colleague with a disruptive student. Her injuries were not too serious and she was able to return to work reasonably quickly. However, she felt unsafe at the school and consequently went off work with stress resulting in a prolonged absence from the school. The school obtained clarification as to when she might return, from her GP and subsequently dismissed her after a formal medical incapacity hearing. At this point there had been no indication of when Ms O’Brien may be able to return to work and she was dismissed in January 2013. Ms O’Brien appealed to the School as part of their procedure. At the appeal, held in April 2013, she produced a vague fit note from her GP stating that she was fit to work. The school’s head viewed that evidence as being inconsistent with her medical history and refused to accept it, and the dismissal was upheld. Ms O’Brien put in a claim to the Employment Tribunals on the grounds of disability discrimination and unfair dismissal and in 2014, the Employment Tribunal found that Ms O’Brien’s condition amounted to a disability and that her termination of employment was discriminatory and unfair. She won the case. The school went on to appeal the decision and in September 2015 the Employment Appeal Tribunal (EAT) overturned the original decision in favour of the school. However, in March 2017, the Court of Appeal confirmed that the original decision of the Employment Tribunal in November 2014 was correct and should stand, albeit that they stated that it was a borderline case. Dismissals for long-term sickness absence may give rise to unfair dismissal and disability discrimination claims. While the tests for discrimination arising from disability and unfair dismissal are different, this decision indicates that the end result may be the same in cases involving long-term sickness absence. Employers are not expected to keep an employee’s job open indefinitely, but they must be able to show that a decision to dismiss for long-term sickness absence is justified and fair. 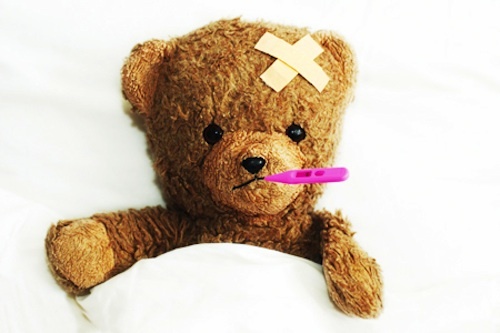 How should employers deal with long-term sickness absence cases? Have a clear sickness policy. Their likely date of return. Whether they require any adjustments to be made or is there alternative employment to consider. If during the disciplinary process (including an appeal following a dismissal) the medical position has changed and an employee provides further evidence that he / she has recovered, the evidence should be considered carefully and not overlooked.